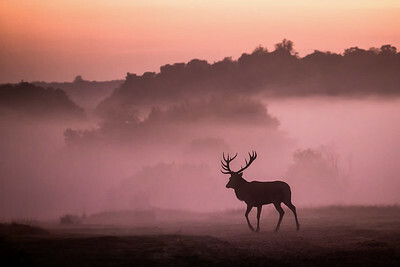 The park is a National Nature Reserve, London's largest Site of Special Scientific Interest and a European Special Area of Conservation. 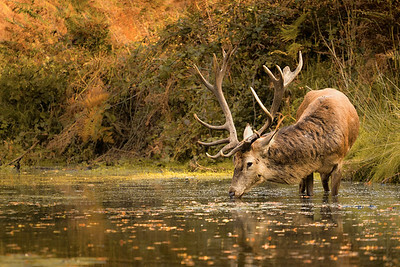 It is London's largest deer park with 630 Red and Fallow deer roaming freely since 1529. 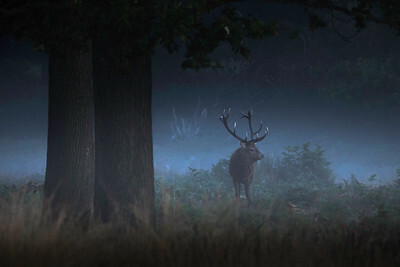 No field craft or stalking is required to photograph these deer. 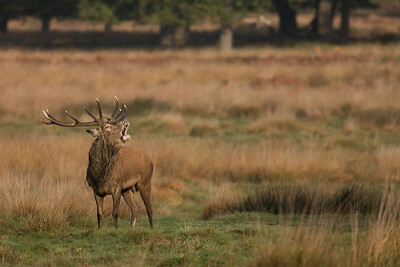 This is because they are well socialised to humans from the thousands of people who utilise the park each year. 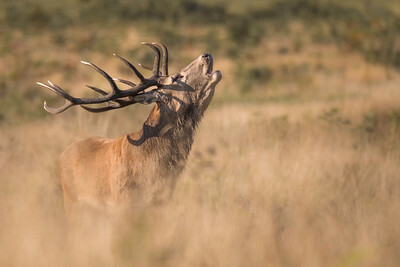 Unfortunately the rise in popularity of wildlife photography, and the social nature of the animals has meant the deer have been put under extreme pressure often being encircled by large groups of photographers who are looking for “the shot”. 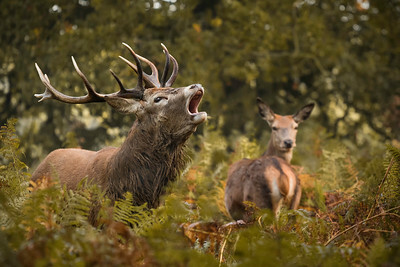 This is particular evident during the rutting season when the heard are most vulnerable. 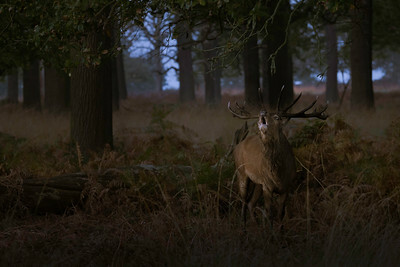 This practice is completely unacceptable and the deer must be given the space they need, and not feel threatened. 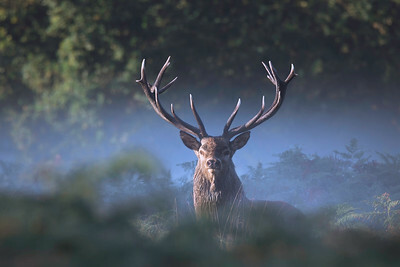 If you do visit Richmond or any of the other deer park please remember to treat the animals with the respect they deserve. 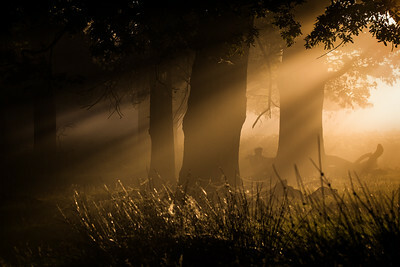 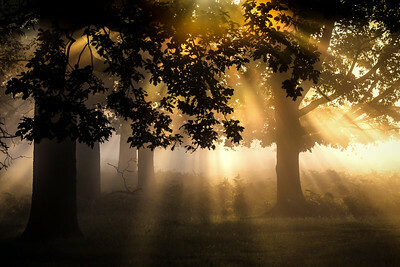 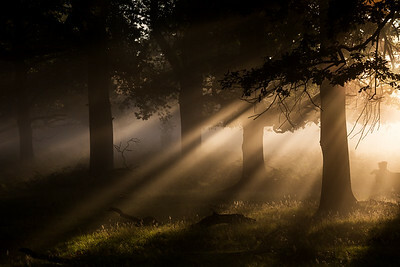 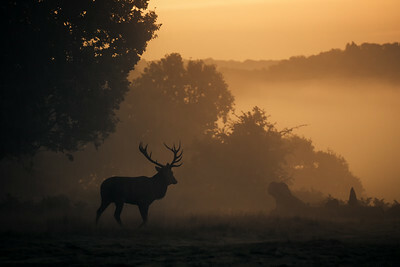 Richmond park on a misty morning. 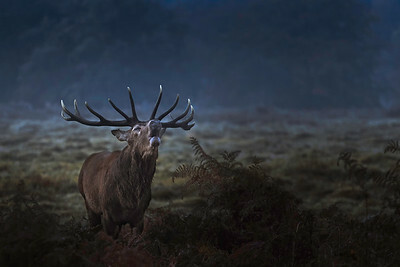 Red deer stag misty portrait. 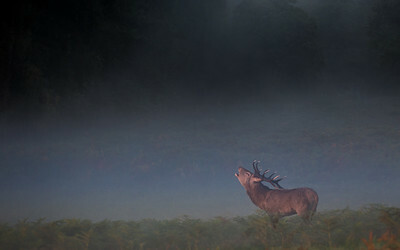 Early morning stag in the mist.